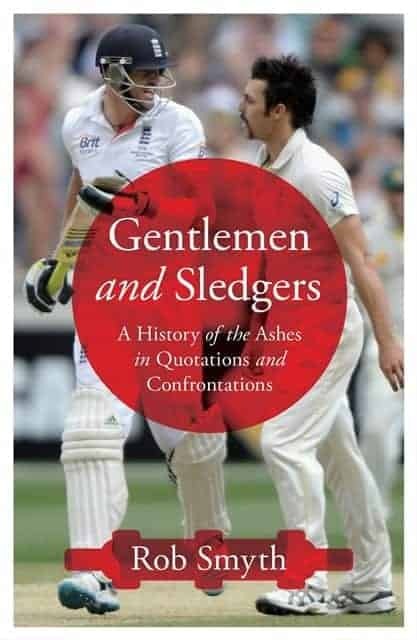 With the first Ashes Test in Cardiff this week, we take a look at some of the better sledges from the almost 140 years of Anglo-Australian cricketing war of words. If you believe some of the media reports in the build-up to Wednesday’s first Test, this will be the friendly Ashes. Ahahahaha. The Ashes has always been a contest between bat, ball and mouth, and there is approximately 0.00 per cent chance of that changing once things get going in Cardiff this week. Here are five of the better sledges from almost 140 years of Anglo-Australian competition. English bowlers didn’t get the better of the Waugh twins too often but this was the sledging equivalent of a ball that pitches leg and hits off. When Jimmy Ormond walked out to bat on his Test debut at the Oval in 2001, Mark Waugh enquired – with the aid of of a popular four-letter word – what precisely Ormond thought he was doing playing the elite form of the game. “I don’t know,” replied Ormond, “but at least I’m the best player in my own family.” Even the Australian team laughed at that one. It was like sending granddad out to deal with the burglars. David Steele was uncapped, grey-haired and 33 years old when England picked him to face the brutish fast-bowling duo of Dennis Lillee and Jeff Thomson at Lord’s in 1975. Steele almost got lost on the way out to bat on his debut at Lord’s – he went down one flight of stairs too many and ended up in a basement toilet – and then, when he did arrive, he was christened “Groucho Marx” by Lillee. None of it affected his cheery disposition and, with the wicketkeeper Rod Marsh also having his say, Steele suggested that Marsh might be seeing plenty of his backside in the remaining three Tests. He was right: although England lost the series 1-0, on the back of a 4-1 mauling Down Under a few months earlier, Steele restored pride with a series of superb innings and ended 1975 as BBC Sports Personality of the Year. It’s a rite of passage for most young cricketers to be abused in their first Ashes Test, so that the opposition can see whether they are made of the right stuff. During the Centenary Test, England’s South African-born captain Tony Greig decided to turn his attention to Australia’s young debutant David Hookes, and enquired as to whether Hookes was ever going to experience the unique misery of puberty. Hookes’ reply won the verbal exchange hands down – and later, for good measure, he smashed Greig for five consecutive fours. Phil Tufnell was the man Australia loved to slate. He was a decent left-arm spinner but his batting and fielding were so poor that they should have carried a custodial sentence for incompetence. He was sledged by everyone from players to umpires (once, when Tufnell asked how many balls were left in the over, he was told to “Count ‘em yourself, you Pommie c***”) and of course the crowd. The finest came during the 1994-95 tour, when a spectator asked Tufnell if he might borrow his brain for the purposes of building an idiot. Even Tufnell loved that one; he says it is his favourite sledge. When Australia came to England in 1989 they were described by some as the worst Australian team of all time. We all know what happened subsequently – a 4-0 rout of England, the first of eight consecutive Ashes victories – but at the time such superiority was unimaginable. One of the key aspects of Australia’s victory, apart from the age-old advantage of having far better players, was the hardness imbued by the captain Allan Border, who made it his mission to win back the Ashes after spending most of his career watching England triumph. He became viciously anti-social, and uttered barely a word to anyone in the England team until the series was won. Well, barely a civil word. When Robin Smith asked for a glass of water during a brilliant century at Trent Bridge, Border let him know, albeit in slightly fruitier language than you would find in any official documents, that the playing regulations suggested it was appropriate for the players to have a drink only at hourly intervals. Goodness knows how Border would have reacted to Oliver Twist.